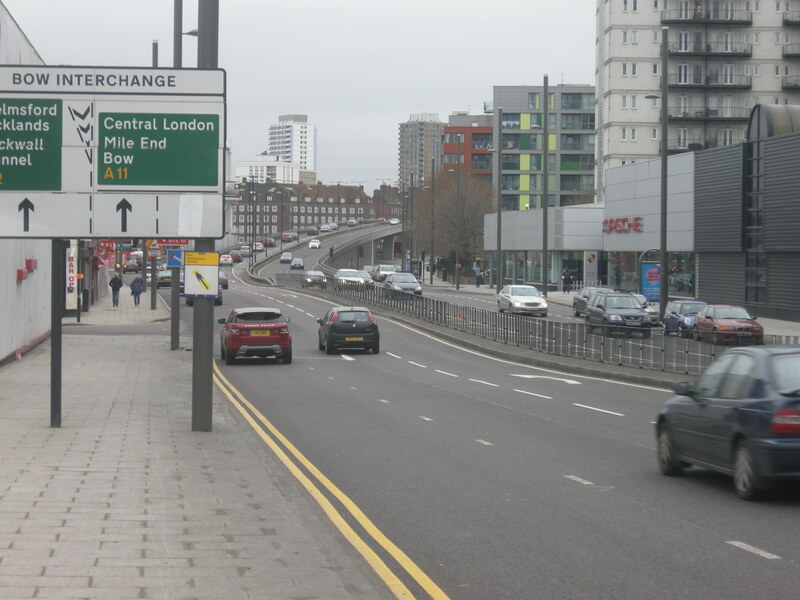 The recent discussion on the ibikelondon and City Cyclists blogs about carriageway narrowing, and how it can be dreadfully unpleasant for cycling, started me thinking about precisely why these new arrangements are so awful. Beyond the fact that it makes it difficult or dangerous to filter through stationary motor traffic, it requires cycling bang in front of those motor vehicles to prevent dangerous overtaking. For people who are fast and confident on a bike, this isn’t necessarily too much of a problem. But I think it’s a big problem for people who don’t want to cycle fast, or aren’t confident, and don’t really fancy the idea of cycling slowly in front of buses, lorries or vans. 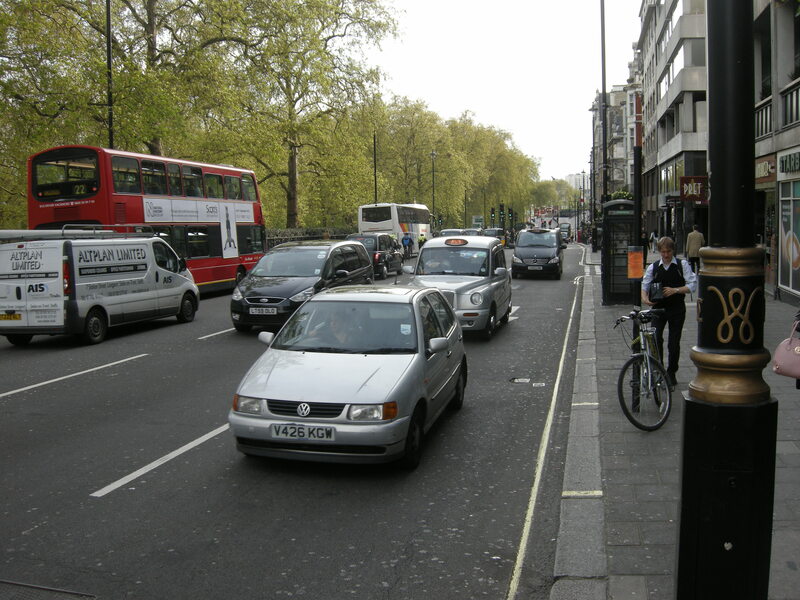 These people will cycle next to the kerb, where some of these vehicles will inevitably squeeze past them, with little room to spare – just as intimidating and scary as cycling in front of them. If I’m cycling with traffic I speed to keep up with it for my own safety and to meet the expectations of motor traffic around me. With physical segregation I am no longer trying to get ahead of traffic for my own safety at junctions. If the City of London creates proper physically segregated tracks I automatically will cycle in a more relaxed way and at slower speeds as I no longer need to keep up with traffic. I feel less stressed which will affect the speed at which I cycle. It really is that simple. 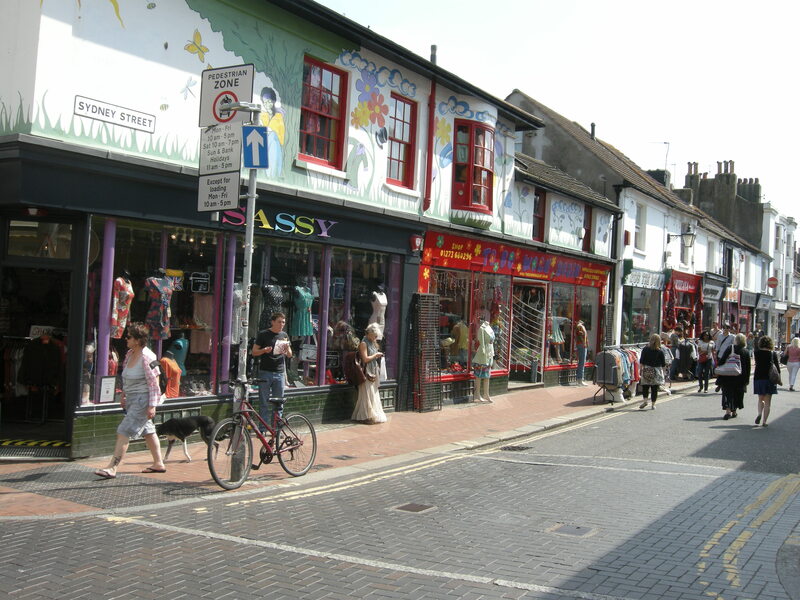 So – if walking in the street would fill you with dread, or unnerve you, then it’s not an appropriate place to cycle. Cycling will not have mass appeal, and will be limited in its attractiveness to those who are capable of ‘meeting the expectations of motor traffic’. 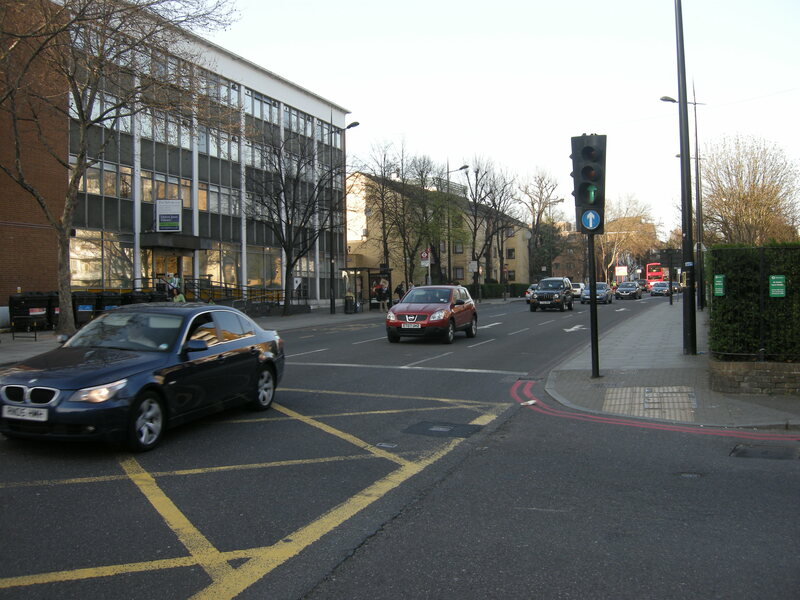 To take just one example of the recent fad for carriageway narrowing – Pall Mall – I wouldn’t want to walk in front of vehicles here. So it is highly unlikely anyone who cycles at or around these speeds would want to cycle here. It’s not relaxing cycling on this street even for me, a confident and experienced cyclist capable of cycling at more ‘appropriate’ speeds, because I am constantly aware, like Danny’s commenter, that I have to ‘keep up’, and position myself correctly. And there are more extreme examples. I wouldn’t walk in the road here. I won’t walk, and a huge swathe of the population won’t cycle, in this road. If it’s not fit for an adult male to walk in, it’s not fit for children to cycle in, or the elderly, or anyone who just wants to cycle slowly. I wouldn’t walk in the road here, either. or here. Walking in the road in these places would be scary and intimidating. Exactly how it would feel for most people if they happened to be forced to use these roads on bicycles. So the net effect is that cycling on these roads has, for all practical purposes, been designed out of existence – it only appeals to the small minority who are willing or able to cycle on the terms of motor vehicles. 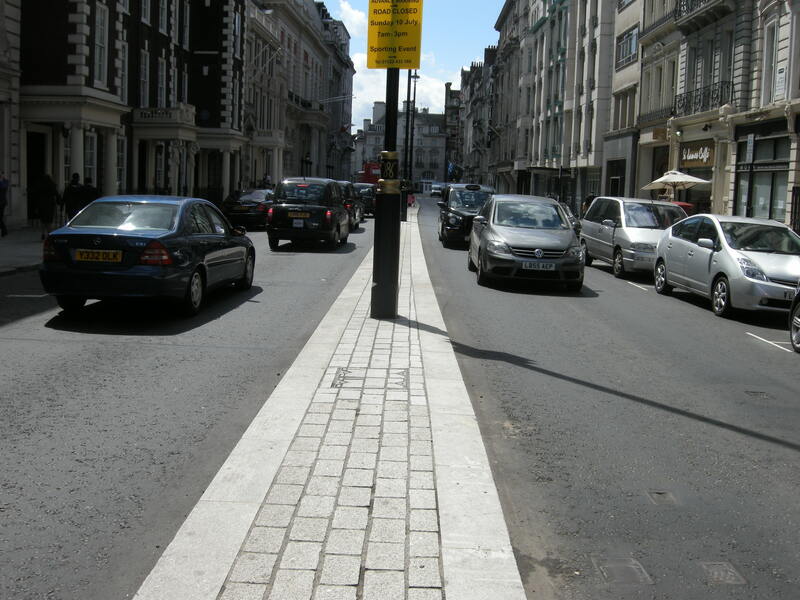 There are, of course, streets in Britain where people feel reasonably comfortable walking in the road. Using the same ‘would you walk here?’ rule of thumb, it’s fairly safe to say that these are streets where cycling would have universal appeal. Where anyone could ride a bike. This same approach gives us clues as to why bus lanes are not appropriate cycling environments, and why cycling is more likely in some shared space environments than in others. 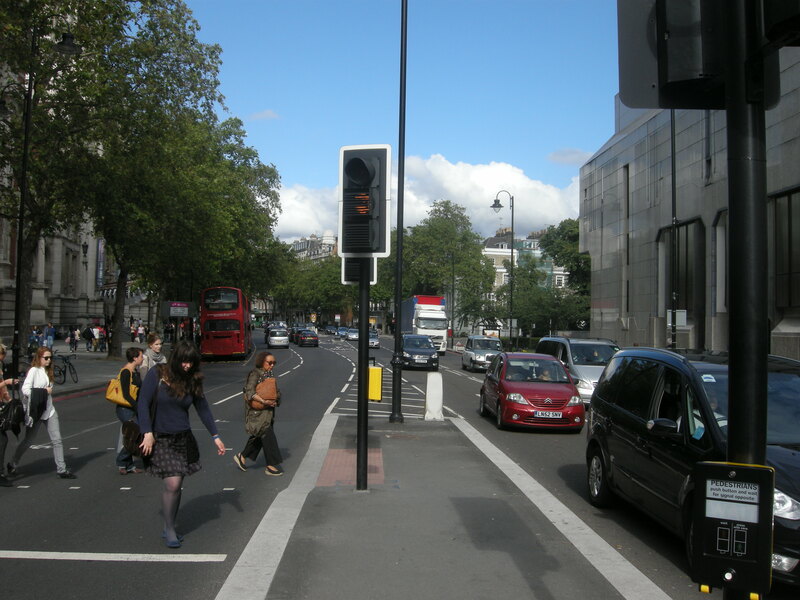 Bus lanes are not for walking in, and nor are some shared space environments (for instance, the busiest section of Exhibition Road), unless you are especially bold. 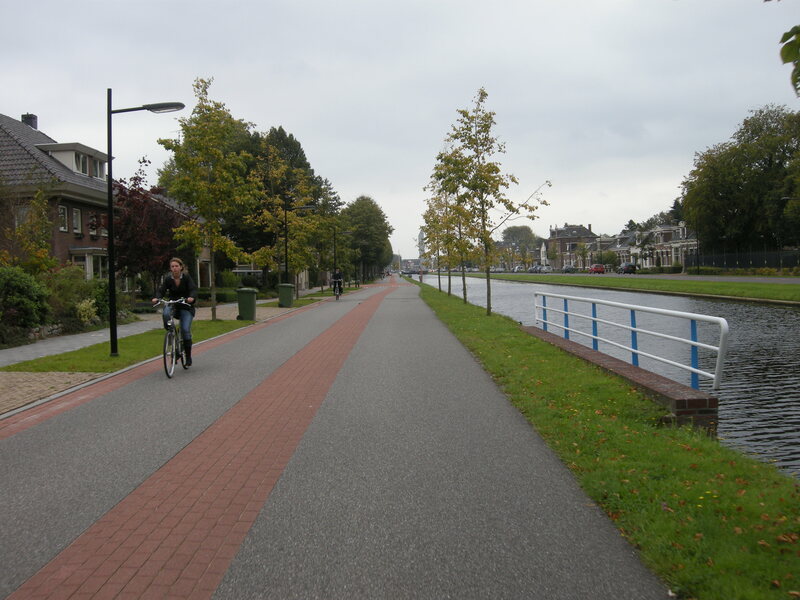 By contrast, the reason why cycling in the Netherlands is so wonderful is that the cycling environment there is universally one where you can comfortably walk, if you wanted to. 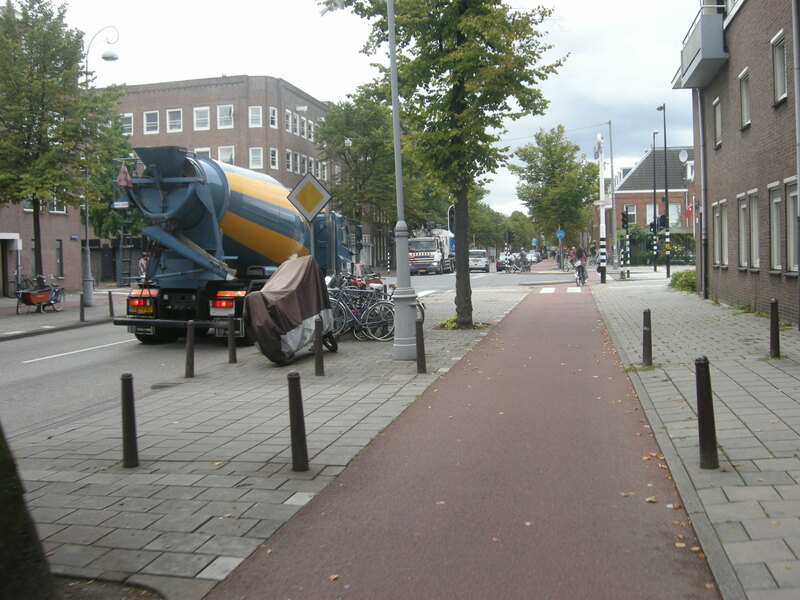 Walking in the road here – mixing with that lorry – would not be pleasant, and once we have established that, we already know that cycling on that road has minimal appeal in the general population. By contrast the cycling environment would be a pleasant place to walk, and consequently has appeal for anyone choosing to ride a bike. 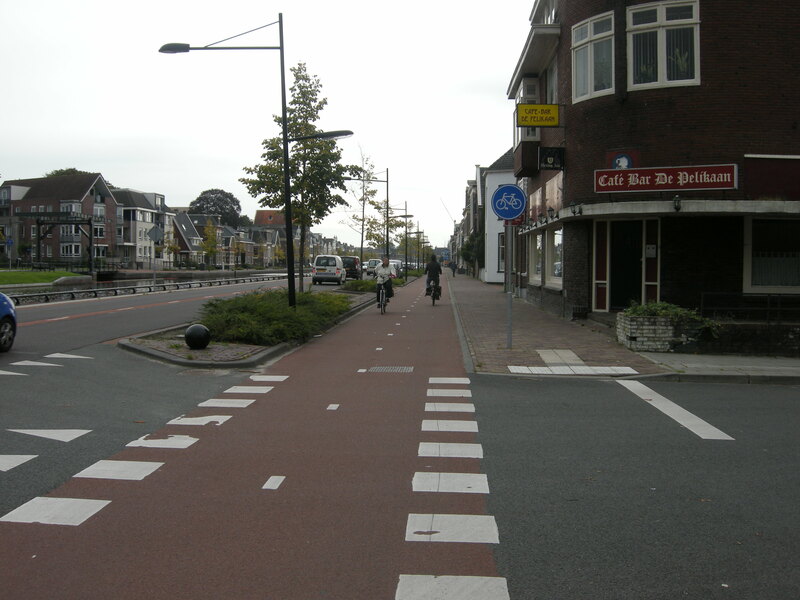 The Dutch cycling network is configured to these standards. Wherever you go by bike, you could quite easily stop and walk in precisely the same place, without difficulty, whether that street or road has cycle tracks, cycle lanes, or nothing at all. 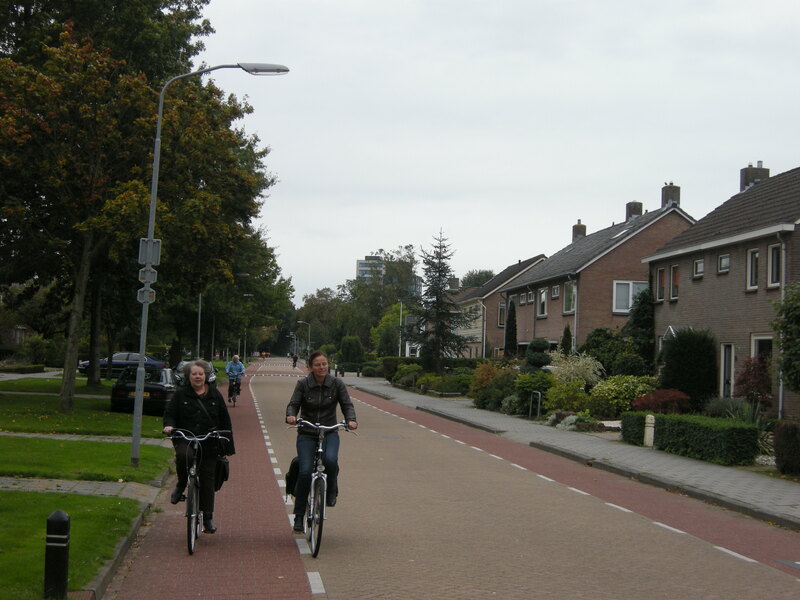 You can walk comfortably where you have to cycle – and that explains, very simply, why cycling in the Netherlands is available to all. Note that I am not suggesting that cycling infrastructure should be designed for walking, or for cycling at walking speeds. It should be able to accommodate all users, travelling at whatever speed they wish (within reason! 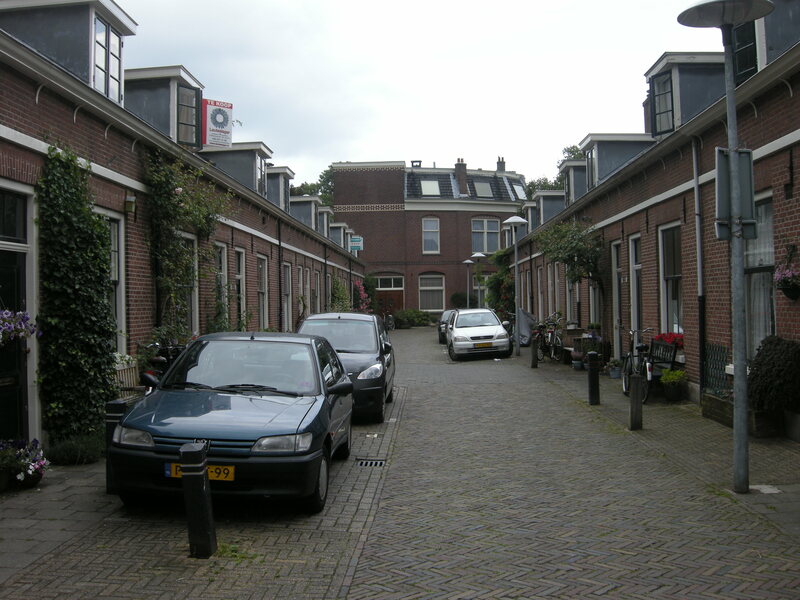 ), just as Dutch infrastructure does currently. 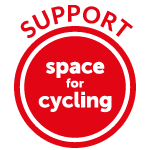 Instead I am merely arguing that a very useful test of whether you are creating an inclusive environment for cycling is to consider how appropriate that cycling environment would be – hypothetically – for walking. This entry was posted in Infrastructure, London, Subjective safety. Bookmark the permalink. 11 Responses to Would you walk here? Nice to see a picture of Bristol there! I’d like to make a quick side point about the “bizarre opinion that segregated tracks would lead to an increase in cycling speeds”. But don’t get me wrong – it is a half-baked opinion because the racer types are really a minor nuisance and the CoL clearly have not thought about the matter properly. Thanks for this post! What’s especially useful about this way of looking at things is it’s completely understandable even by politicians & council officers who’d never dream of getting on a bike. Great idea. “Would you walk here” is a very good test of how pleasant any place is. It’s a way of expressing the idea of the importance of subjective safety so that people know intuitively what it means. Also think about “would you walk here alone at night”, which is an expression of social safety. I think the question on the table is a very useful one, and one that can help to shift the perspective of anyone who had limited personal experience of cycling, It’s a question that could be less decisive when shared space is being considered. Cyclists in general might agree that “yes, I could walk here” in places where non-cyclists might think “I would rather not have to walk here now that cyclists go past me at unexpected moments in unpredictable ways”. Very good post. This road narrowing twaddle has to stop. 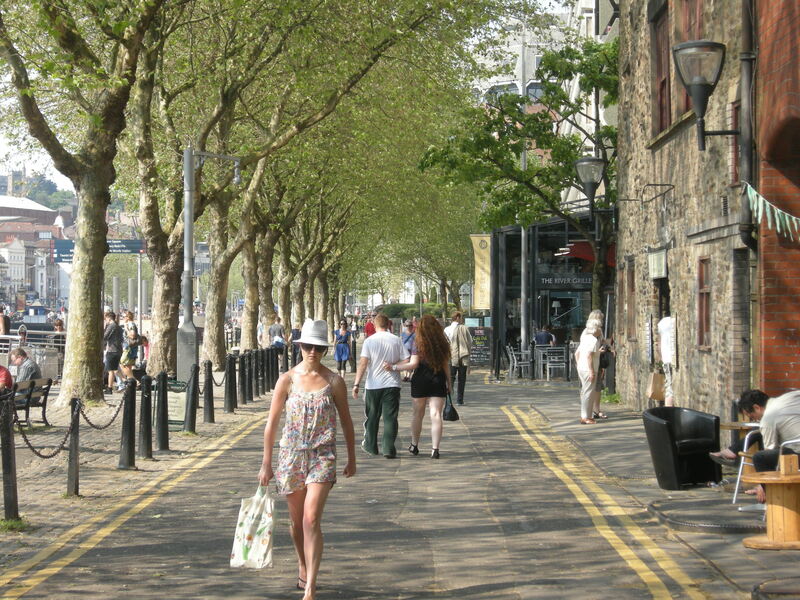 As a caveat to the “would you walk here” test, what’s the history behind our roadspace and walking in it? I was taught (in the 70s) that people on foot always have right of way, wherever they are and in just about whatever circumstance (let’s leave motorways aside for now). Now, that simply may be I was taught respect for vunerable people. Although with some of the recent comparison pictures of roads in the 50s/60s and now, showing children happily playing then in now car-clogged roads, I may not have been too far from the ethic of the time. Now, and I’d suggest thanks to the rather well-meaning but ethic-changing policies of teaching the green cross code and other road safety policies, we have two generations that believe anyone walking in the roadspace is at the behest and generosity of the person driving. Does anyone have a more thorough knowledge of the way in which we transferred from one state of play to the other? It’d be good to hear about how this is set in north Europe as well. I don’t think there was any stark transition. I do know that when motor vehicles started appearing, they were treated with great hostility by the general population, because there were very few of them. But as more motor vehicles arrived, and as more people started using them, deference to them became almost instinctive and natural, presumably out of self-preservation. Nobody saw fit to try and challenge the increasing dominance of the motor vehicle, I suppose, because everyone bought into it. There’s an interesting book called Car Wars by Chris Mosey, which I can recommend. You make a very good point about ‘would you walk here?’ it’s true that the difference in speed between bikes and cars is too much when limits exceed 20mph. It annoys me how the powers that be can get away with rubbish about cycle paths encouraging racing bikes. It’s not stopped them building motorways! I think that when it became so inconvenient and/or dangerous not to drive, car ownership turned into a human right. The main thing you can buy 24/7/365 is petrol (and cigarettes ironically). I got a lift with a fellow childminder to a course last week (as it would have taken 2 hours by public transport as appose to 30min by car). She had a Volvo 4wd XC90. I was amazed how we barrelled though the country side at 60-80mph, barely slowing down through the villages, it was warm, quiet and unreal in how detached we were to our surroundings. Blindly following a Sat Nav. If anything unexpected would have happened, it felt like we would have just ploughed through it like a tank. I knew that in the back of my mind if we had ended up in a Fen Drain, we would have sunk without a trace but somehow it all seems so comfortable. It occurred to me that this is normality to so many brits, completely detached from the fact that this lovely huge beast is actually spewing poison gas, making other users outside it fearful and in danger. She was a very nice person, of course, and this huge vehicle was useful for her day of continuous school runs. I couldn’t help feeling how much of her earnings it had eaten and ate in petrol, not to mention the impact on the environment. In the middle of the Fens, there doesn’t seem to be any alternative. I hear this repeatedly where people spend 2-3 hours a day in a car, in traffic while their income comes out of their exhaust pipe. I don’t think we should have to cycle along side XC90’s when they are so detached from their surroundings. The same must also be true for HGV’s.